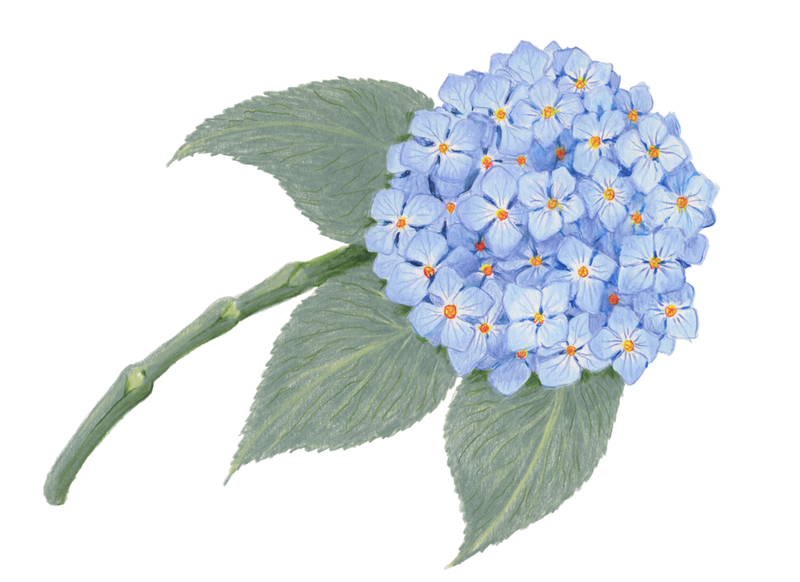 This hydrangea bloom was for my daughter's wedding invitation, and was overlaid with a sheet of translucent parchment with beautiful copperplate calligraphy by a friend of the family. The two sheets were tied together with a matching blue ribbon. The greens and blues were specifically chosen to match the wedding palette and a proliferation of hydrangeas used to decorate the wedding chapel. This pen and ink drawing was created with a technical pen (and brush for the larger black areas). It is based on a photo of a tribesman in the Sepik area of Papua New Guinea playing a flute with a small crocodile head attached to one end. This flute is used in ceremonies relating to ancestral spirits and the village women are not allowed to ever see it. This piece was commissioned while I was in Papua New Guinea and appeared in a newsletter printed by New Tribes Mission in Goroka. 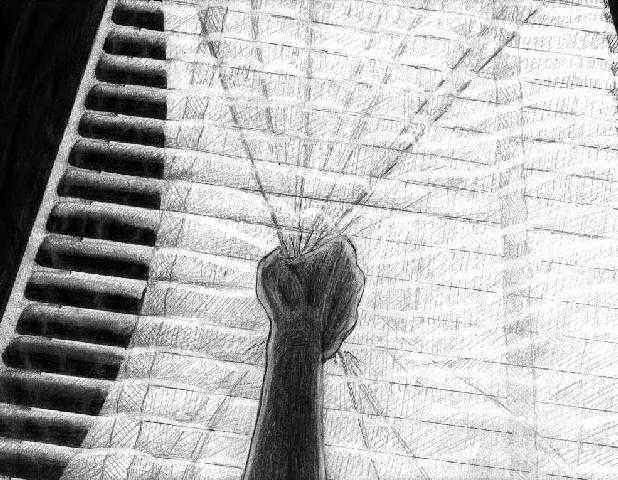 This is a pencil sketch I did while living in Craigsville, West Virginia. 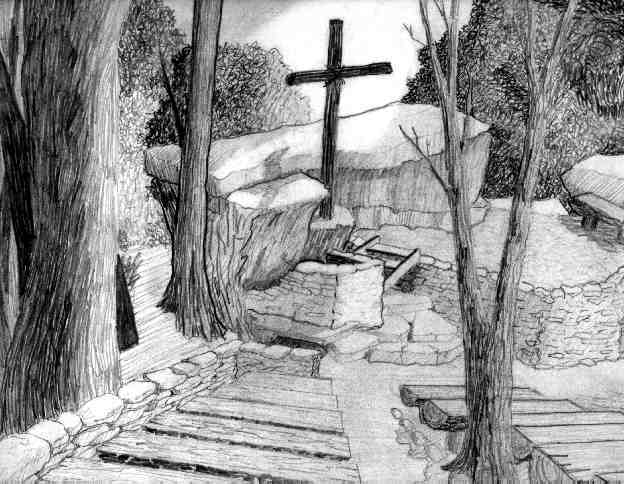 It's a drawing of a site I'd visited as part of a youth rally or activity of Little Laurel Baptist Church of Richwood. A small portion of the bottom and right edges are not displayed here because my scanner can only accommodate images up to 12" x8.5"
One troubled night I could not get any sleep. Partly due to the fact that I can't sleep if there is too much light. On this hot summer night a street light was just outside my window. I reached up with one hand and grasped the shears and just lay there looking at the window. I was fascinated by the patterns of light and shadows. While it didn't make for a good night's sleep it was an excellent idea for a drawing. Can you find the hidden image of a suffering prisoner? People have asked if this work was inspired by an actual woman. The truth is I was more intrigued by the imagery than as a cathartic expression.